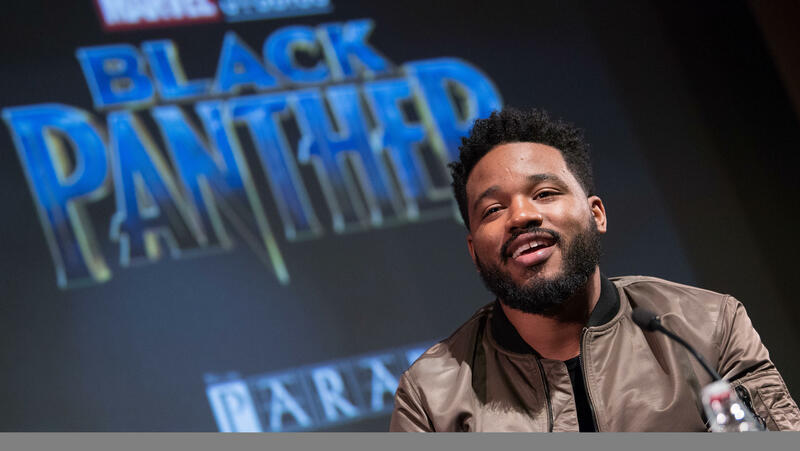 Director Ryan Coogler attends a London screening of his film Black Panther, the highest-grossing movie of 2018. "Now that studios have proven that they can hire Black directors in proportion to the population," the study's authors said in the report released Friday, "it becomes critical that they continue to do so." That said, the report did not offer much else for inclusion advocates to cheer. The director's chair and producers' offices remain overwhelmingly occupied by white men — and the group offered some stark numbers to illustrate how. Just one of those 16 black directors — Ava DuVernay — is a woman. And if one includes directors of all races, the number of women that helmed top-grossing films rises to just four. That accords with another study, also released this week by San Diego State University's Center for the Study of Women in Television and Film. The SDSU report, in expanding the scope of its survey, found that women also represented just 8 percent of the directors of the top 250 top-grossing films. And last year's low numbers are no aberration. "They've been stagnant for over a decade, so these results are no surprise," Melissa Silverstein, founder of Women and Hollywood, tells NPR. Silverstein is not affiliated with either of the two surveys released this week, but as the publisher of her own website devoted to the issue, she says she has fought for more than a decade to see greater representation of women and people of color in Hollywood. "Really, what this is is about access to opportunities and access to capital," she says. "Women have to be able to operate at the highest levels of the business, and that has been an area that has been very cut off for women and also people of color." The USC Annenberg Inclusion Initiative report also makes this point about the industry's highest levels, finding that white men make up more than 72 percent of the producers on the top 300 films of the past three years. And Silverstein says that proportion has a tendency to trickle down to all the positions on set. 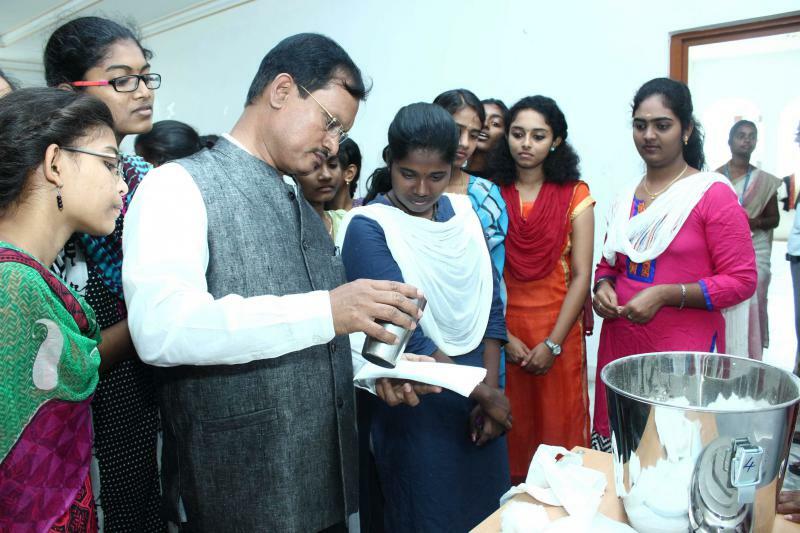 "The producers are the people who are the driving force of the film. They do the hiring," she says. "So if you have a female producer who's pushing these movies along — and they could be pushing multiple movies along at the same time — then you are going to see a different kind of hiring that goes on." Still, there are some signs that Hollywood may be lurching toward more inclusive hiring. Beyond the leap in the number of black directors — including Ryan Coogler, director of 2018's highest-grossing film, Black Panther — a study released just last month showed that when a woman stars in a film, it does better at the box office worldwide. And advocates say the same financial success can be repeated — if only women and people of color get the chance, not only in front of the camera but behind it as well. calling for broader industry change," say the authors of Friday's study. "As diverse storytellers flock from film to steaming platforms to tell their stories, the words of James Baldwin are a gentle reminder to movie executives: 'Those who say it can't be done are usually interrupted by others doing it.' 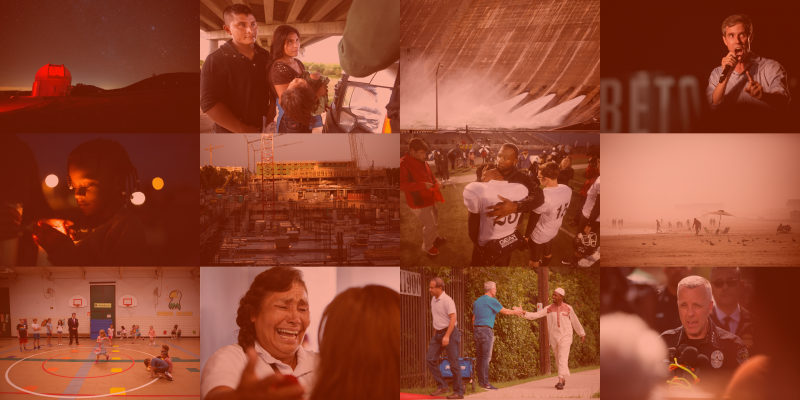 "
From the serial bombings in Austin to historic flooding in the Hill Country to the midterm elections, here are some of the best images from KUT in 2018. A landmark exhibition that addresses former President Thomas Jefferson’s long-debated relationship with Sally Hemings, one of his slaves who bore six of his children, will begin its national tour in Dallas this fall.